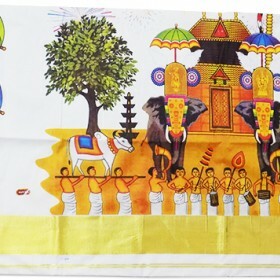 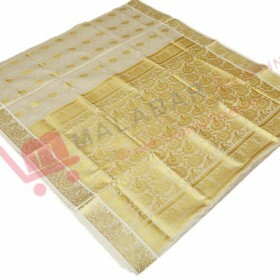 Get a new feel of traditional Kerala ethnic wear from MALABAR SHOPPING, with tissue fabric having full kasavu work churidar. 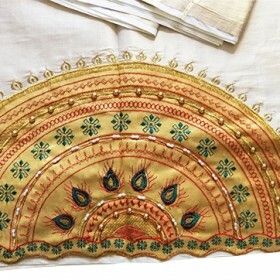 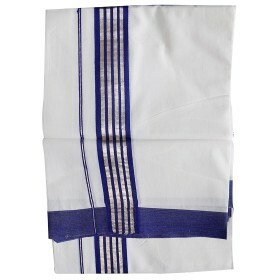 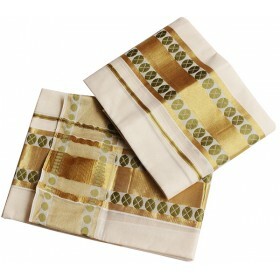 It is a long size churidar with crush bottom and duppatta with kunchalam which give a modern look. 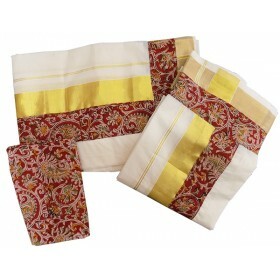 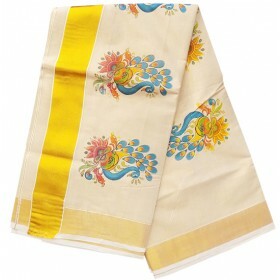 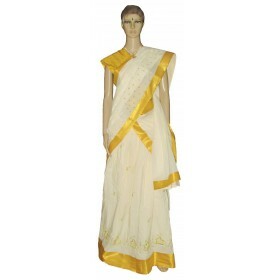 This has full golden kasavu work with a round floral work on the middle and on bottom of the top we have awesome floral kasavu work which gives a rich and royal look. 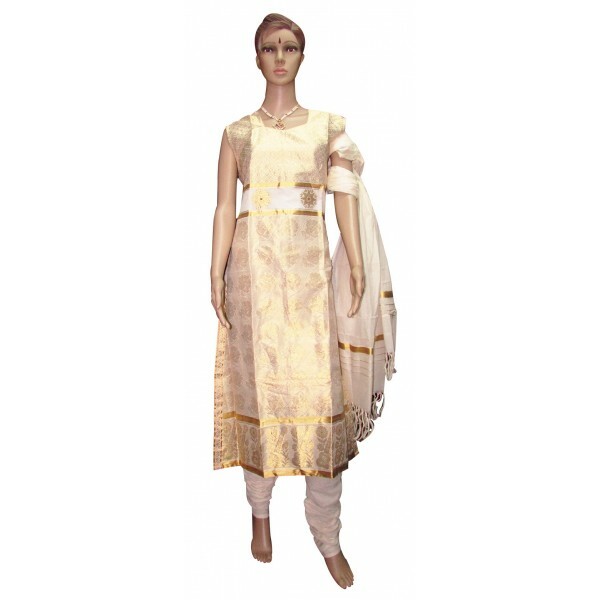 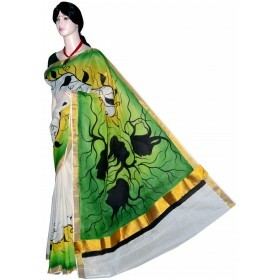 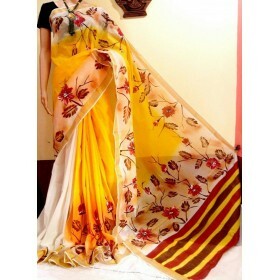 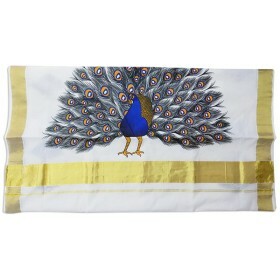 In this trendy churidar you look more glamour’s.